The word EPIPHANY comes from a verb that means “to appear.” When something is made manifest, comes into appearance, or shows up – it’s an epiphany. It comes from a Greek word (epiphaneia) if that makes it more impressive for you. There is a cycle through the Christian year that mirrors the life of Jesus, moving from his birth (Advent and Christmas) right on through to his suffering, death, and resurrection at Easter. Some parts of the Church celebrate a big Day of Epiphany 12 days after Christmas (January 6 this year), and actually Epiphany is a whole season that extends from Christmas to Ash Wednesday. In short, it’s a happy time to celebrate the amazing truth that God has revealed himself to us as a human being in Jesus Christ. 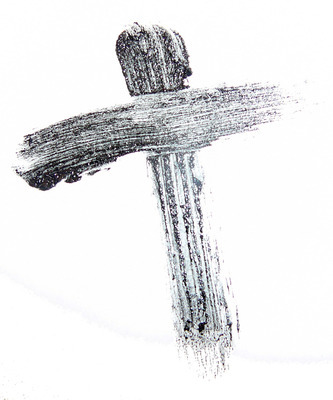 Ash Wednesday is this week, so the season of Epiphany is coming to a close. The concept of epiphany is related to the word theophany. 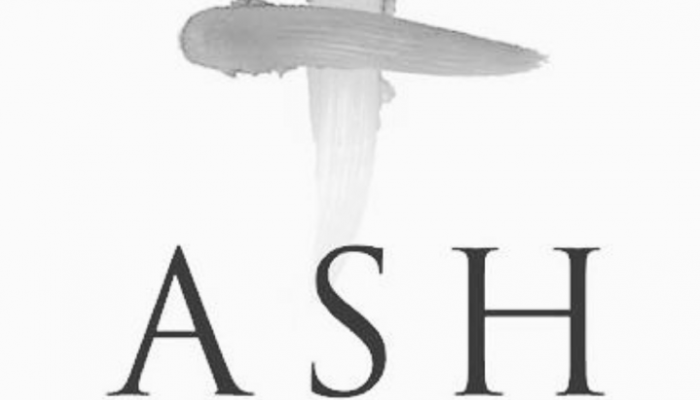 You probably recognize the prefix THEO in there – theophany is a special appearance of God. It’s when the Deity reveals himself to people in a special divine disclosure. The Bible is filled with stories of epiphany like this — when God shows up in a special way. · Isaiah, Ezekiel, the Psalms and the rest of Scripture contain many examples of epiphany. In every day speech, we have come to refer to an epiphany as a sudden or striking realization about something. Like when you have an insight, a burst of AHA clarity. A scientific or philosophic breakthrough that finally leads to a “eureka” moment where you are enlightened about something is called an epiphany. Christ followers need to have regular epiphanies. If you could graph my spiritual growth, it would be a line that surges forward from epiphany to epiphany. Through the pain and joy of life’s experiences, God shows up for us, unexpectedly sometimes, like a burning bush. A friend told me he is surprised at how gracious he was able to be with his father recently, whom he has spent decades hating. He knows God showed up unexpectedly, to help. Epiphany surprises you. My brother’s daughter is precious to me. She and her husband had experienced sorrow and fear about having children. All of us prayed. A lot. When he learned they were pregnant, my brother worried his prayers toward the Lord every day for months, begging the Father to let this one go full term. Last night we skyped with him and his precious newborn grandbaby. He told me on the phone that sometimes you ask God for something, and when he grants it, you say thank you and move on. But this time is different. It is like a light switch has been flipped in his soul, illuminating the incredible grace of God and he has not stopped giving thanks, day by day, hour by hour. Epiphany changes you. I’ll bet you know what I’m talking about. We need and thrive on those times when God shows up unexpectedly or gives an insight, a deep conviction in your spirit about something. Why don’t you let yourself have an epiphany today! You can’t dial it up like you can order a pizza delivery. But you can start looking for God. And you can give yourself some space for him to show up. Here’s how. Call it my practical guide to epiphany. Epiphany falls into two categories. 1. YEAH GOD! These are the times God showed up and blessed you. God came through for you, did something amazing in the world. Stop and think about it, identify it, and then give the Lord credit. Give thanks for unseen graces. Let your heart swell with gratitude about the countless ways the Lord has blessed you, and single out a couple of biggies. When it comes into view the best response is PRAISE. Write down one sentence that describes a time when God came through for you. When he showed up in a gracious or surprising way. This is your YEE – HAH! Epiphany. It will make you more grateful and joyful and receptive to further works of the Spirit in your life. 2. YES GOD! These are the times when God reveals something about you that needs to change. He shows you your critical spirit. He reveals your words are hurtful, your habits are harmful, your attitude sour, your behavior sinful. Suddenly you realize it’s time to change, to break out of the bonds you’ve been in and move in a new direction, even if it hurts. When it comes into view the best response is REPENTANCE & OBEDIENCE. Write down another sentence that states clearly the thing God has been impressing upon you recently through his still, small voice. What is that thing the Holy Spirit has been nudging you to begin, or to change, or to stop, so that you can live more fully for Jesus or remove a barrier between you? This is your AHA! Epiphany. It will make you more obedient and faithful and receptive to further leadings of God in your life. Give yourself a moment to have a YEAH GOD moment of thanks and praise for some way God has blessed your life. And then give yourself a moment to have a YES GOD moment of repentance and obedience for some way God is calling you forward. Wow. Heres one. My realization that my own defensive sarcasm is hurtful and useless for my young adults, and that they are imitating ths. God is nudging me to meditate, be more gentle and observant, patient, and listening rather than coming up with a quick response and always thinking the worst. One of my most memorable Aha moments came after many months of crying, praying, worrying, whining, debating and arguing about a circumstance in my life that I absolutely did not want to have to do. I wanted God to help me through it and to give me peace so that I would not have to worry and deal with this thing. I recalled from Scripture that God gives peace that passes understanding, but my soul ached and suffered. I wanted an epiphany and rescue from God! And then, in the midst of living through the very thing that I dreaded, still whining and crying and worrying, I had an AHA moment. Through my devotional and Bible study time I discovered that God promises peace for my soul beyond what I would think I could have, but that it doesn’t come the way I had thought. Philippians 4:6 & 7 explains it clearly: (FIRST) “Do not be anxious about anything, but in everything, by prayer and petition with thanksgiving present your requests to God.” (AND THEN) “And the peace of God, which transcends all understanding will guard your hearts and your minds in Christ Jesus.” I wanted God to give me peace, but I had not been opening my eyes to see what God had actually said. I suddenly came to realize that my first responsibility was to be obedient and to STOP BEING ANXIOUS and START BEING THANKFUL and trusting God. I remember studying this passage and having that HUGE awareness go on like a bright light in my understanding. And God showed mercy to me and helped me with my change of viewpoint to be trusting and thankful first, putting away my fear and anxiousness. And He answered my prayers and healed my heart’s hurts. I would not have ever learned this lesson had I not been searching for God with my eyes and heart open to really hear what He was wanting to show me all along. I praise Him for His goodness, kindness and mercy to me, and for the gift of helping me to change from worry to worship! A Yeah God moment that I will hold onto through the difficult times. In 1996, my 22 year old daughter had a massive brain hemorrage. So much blood. The doctors stopped the bleeding, but because there was so much blood, there was no clear picture of what was really going on. Most thought it was a brain tumor. I didn’t think much; just that her life was saved. That was enough for me. Four days later, a test was scheduled to see the brain more clearly: an angiogram. As I was getting ready in the early hours of the morning at home, the voice of God spoke to me, almost audibly saying, ” I will make the rough places straight.” I told my husband what I had heard and asked what he thought it meant. He didn’t know. About 5 hours later, after the test was done, the radiologist called us in to give us the results of the test. He said it was not a brain tumor; it was something called an AVM – arterio venous malformation. He drew us a picture of it – a tangled mess of veins and arteries and capillaries all twisted; hence the bleeding. I asked him what could be done. He said it would be corrected with surgery, but more importantly, he said, “We can straigthen it out.” WOW!!!!! The epiphany that day was that God, with all of the billions of people he watches over everyday, spoke to me in my hour of need, worry and fear. Thank you, Ben, for reminding me of this moment. I forget those AHA moments when the Lord lets me know he’s in the here and now, tendering looking after me.